Vanilla extract doesn't have to be made with alcohol, but finding a non-alcoholic version at the store can be difficult and costly. Fortunately, it's really easy to make at home and it can save you money. Just follow this simple recipe to create your own non-alcoholic vanilla extract. Typically, extracts are made with alcohol because it is the most efficient way to extract the flavors from herbs and spices. That's why most vanilla extracts are made with an alcohol base. However, it isn't right for everyone, which is why a non-alcoholic alternative such as this recipe is good to have. Since it's alcohol-free, this vanilla extract is okay for children and adults who are abstaining from alcohol. It also won't add the underlying taste of alcohol to the recipes you use it in. As an extra benefit, you'll often find that glycerin costs less than a bottle of rum or vodka, so this version is actually cheaper to make. To make vanilla extract at home, you will need three simple ingredients: vanilla beans, food-grade vegetable glycerin, and water. You will also need a bottle to make and store the extract in. A dark brown glass bottle works best, but a clear one will work as well. The vanilla beans are the most expensive ingredient. While you can find them at your local grocery store, they can be very pricey and are often sold as a single bean. Since you may need as many as three beans, you can often find them cheaper online (buy vanilla beans from Amazon). The good news is that they can be reused for a few batches of extract. You might be able to find glycerin at your local pharmacy, but it may not be food-grade. There are different grades of glycerin and it is used for a number of things, including homemade beauty products. Many online retailers, including Amazon, sell vegetable glycerin, which is perfect for non-alcoholic extracts (buy glycerin from Amazon). Just make sure that you're buying one listed as "food-grade." Making vanilla extract is not difficult, though you do need to be patient. 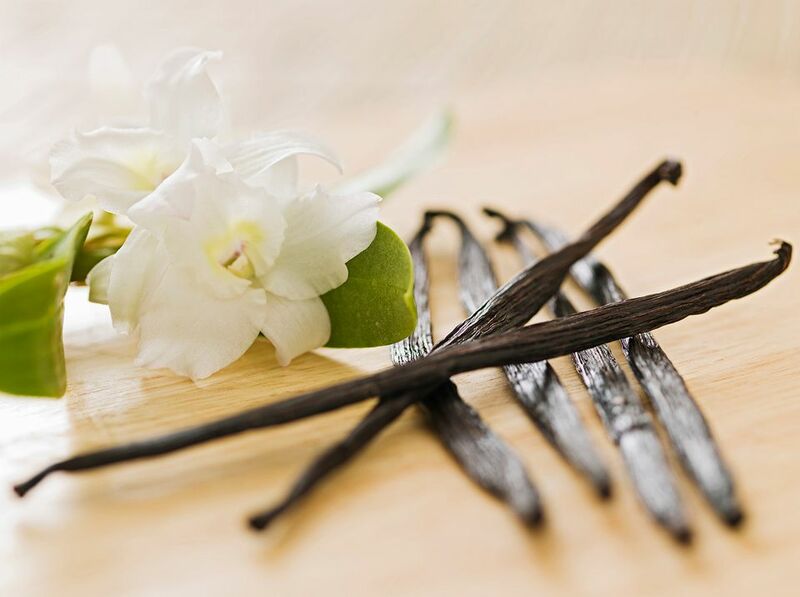 The flavor of the vanilla bean is slowly extracted into the glycerin, so it will take at least two months before it's ready to use. Because of this, it's important to plan ahead and prepare it well before you run out. To make the extract, begin by mixing together three parts glycerin and one part water, then pour it into a glass bottle. Cut three vanilla beans open lengthwise for every cup of glycerin you use. Add the beans to the glycerin, making sure they're completely submerged. Then cap the bottle and store it in a cool, dark place. Shake the bottle once a week. It will be ready to use in two months. Your finished extract may not get as dark as alcohol-based vanilla extract and it will have a consistency similar to syrup. However, it will have just as much flavor and work just as well as any other vanilla extract. While the recipe is easy enough, a few tips and tricks will help you out along the way. The second batch is even easier. When you finish a bottle of extract, just add more glycerin. Vanilla beans can be reused two or three times before they need to be replaced. Enjoy the long shelf life. Your extract should keep for up to four years and does not need to be refrigerated. The glycerine acts as a preservative in this recipe, which is why the extract has such a long shelf life. Be wary of non-glycerin recipes. It's best to avoid any vanilla extract recipes that only use water and vanilla beans. They're a breeding ground for bacteria. It may seem like a good idea, especially if you can't find glycerin locally, but it's a shortcut that puts your health at risk. This extract is diet friendly. Glycerine-based extracts (called glycerites) are sugar-free and gluten-free. Despite being referred to as a "sugar alcohol," glycerine doesn't contain sugar or alcohol, which is why it's often used in foods labeled sugar-free. Also, as long as you use vegetable glycerin, the extract is ideal for vegetarian and vegan diets.